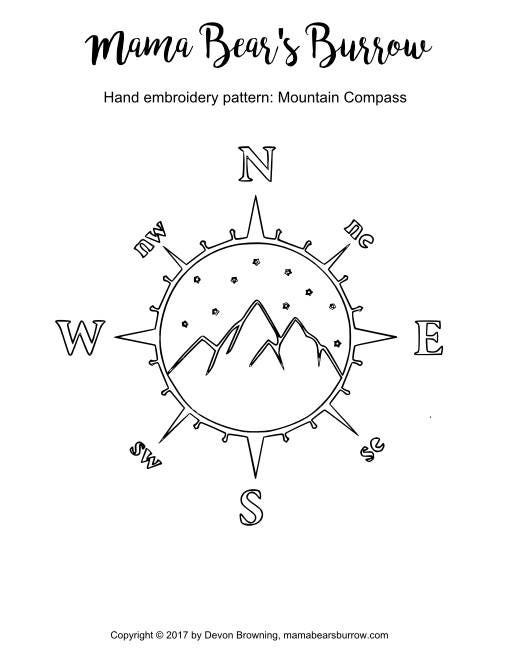 These embroidery patterns are HAND DRAWN, then converted into vector images to provide the best quality pattern for you. If the file does NOT download, please message me and I will fix the problem! File corruption during download on Etsy is a possibility. This is an Etsy download issue, not an actual file issue. If the file continues to not download, I am happy to email the files to you upon request. This is a DIGITAL product and NO physical items will be shipped. No refunds are accepted but please contact me if you have any questions or concerns. These embroidery designs are not to be altered, resold, or changed in any way. But feel free to resize them for your project. You may use our designs to make and sell items for personal use or for small business use. This means you CAN sell anything you make with this pattern on it. However, you MAY NOT resell this design or use any part of it to create other designs for purchase. If you’re working with a thin fabric, you can transfer your embroidery pattern directly onto the fabric by holding the paper and fabric up to a light source. I recommend using a lightbox or a window. If you’re using the lightbox method, use the lightbox as instructed. If you’re using the window method, tape the paper to the window and hold the fabric up to it (with the fabric already in the hoop). This will allow you to see the pattern through the fabric so you can trace it. I use a sharpened graphite pencil. But, you can also use a fabric pen/pencil or water-soluble transfer pen. If you’re working with dark fabric and you can’t see through it to trace via the lightbox or window method, this method might be best for you. You can print directly onto the water-soluble stabilizer, then put it on your fabric. After you finish your embroidery, soak the entire thing in warm water and the stabilizer will dissolve. Afterward, let it air dry for 24 hours. In this method, you’ll use carbon or wax based transfer paper. Use a light-colored carbon paper to transfer onto dark fabrics, and vise versa. Lay the fabric on a hard surface with the top facing up. Lay your transfer paper on top of the fabric, the wax/ink side touching top of the fabric. Then, place the embroidery pattern on top of the transfer paper. So, your layers will be sandwiched as: fabric, transfer paper, pattern. Take an empty pen or toothpick and trace the pattern. Press hard enough so that the pattern appears on the fabric. This method may be the easiest, in my opinion. Tracing paper is very lightweight and thin, making it easy to see through. Place the tracing paper on top of your pattern and trace it. Place the tracing paper on top of your fabric and stitch the design. Afterward, carefully tear away the paper.